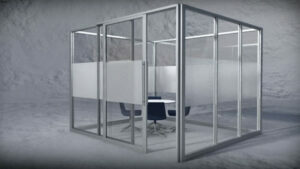 Need space in your booth where you can conduct business? We can help you bring the panache of your boardroom into your booth via a beautiful portable conference room or semi-private meeting room. Maybe you have product that you don’t want prying eyes to see or sticky fingers to handle. We are your source for the perfect portable lockable storage room. We offer turnkey rental solutions, as well as sell new and used conference rooms / storage rooms. Beautiful designs meet functional privacy. 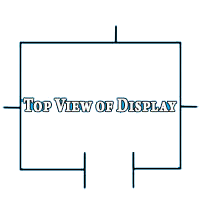 Our standard panel inserts are ¼” (6mm) thick, not the usual 1/8” thick panels offered with inferior product. 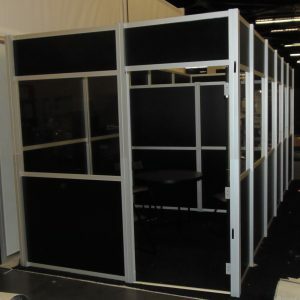 Thicker panels mean more privacy, making it easier for you to conduct business in your booth. All our Conference Room / Meeting Room / Storage Room components are made in the USA. Contact us, and let us know what size(s) you need, what options you require, and where your show is. 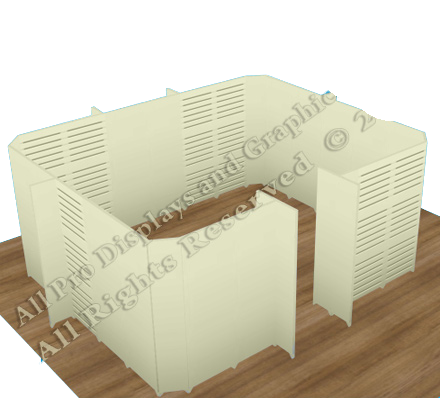 Meeting Rooms and Storage Rooms are built from standard components but are created CUSTOM TO MEET YOUR SPECIFIC NEEDS. As for pricing, you tell us what you’re willing to pay. We’ll let you know if we can meet your budget. We also offer a unique line of portable conference / meeting / storage options that are created via easy to assemble 2’ x 2’ panels. One side of each panel has Slatwall, the other side is a rough surface. Extremely cost effective. 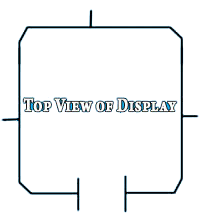 Additionally, we offer a complete line of accessories, including furniture, greeting counter, storage counters, lighting as well as professional graphic design and the production of custom graphics on a variety of substrates. Our experience, and a simplified process allows us to ensure we commit to the quoted amount without risk of add on costs. We partner with you to ensure the conference room or storage room meets or exceeds the functionality in advance of your review on the show floor. As a special bonus, all graphics we provide are delivered to your show, and installed on Turnkey rentals at no additional charge. We offer you one year of storage for your rental’s graphics at no charge with your rental. all of these accessories can be used to help us create your perfect solution. With Turnkey Rental Service, you don’t need to worry about arranging inbound or outbound display transportation or installation and dismantle (I&D). Turnkey with us means those expenses are paid with your rental. If the shipper must wait to deliver or pick-up the product, you’ll not be charged extra for those delays. How will your graphics be installed, and will they be a perfect fit? A Turnkey rental with us means we install and remove your graphics and guarantee a perfect fit. We’ll also store them for free for up to a year. Our Turnkey rentals are fixed cost. Relax! We’ve got you covered. We will not be beat on price if your show is in Los Angeles, Anaheim, Long Beach, San Diego, San Francisco, or San Jose, California. Also true if your show is in the trade show capitol of the world, Las Vegas. Contact us if your show is in another venue. We’ll do our very best to beat any written quote. Oh, and if decide you’d rather purchase, we can quote I&D service only – if you’d prefer. Use of photos and/or logos are for illustration of the product designs only, and in no way imply an endorsement or relationship with any company or organization. See a list of our companies that we have partnered with here. 24 - 6 ft x 2 ft panels, 11 - 6 ft x 1 ft panels and the required connectors. Customize with shelves & fixtures, spotlights, counters, signs, etc. Your choice of black or ivory. 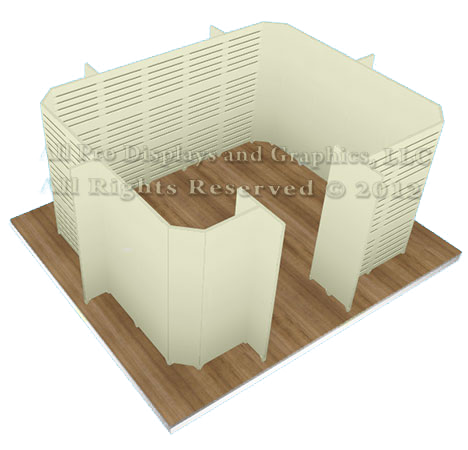 20 - 6 ft x 2 ft panels, 13 - 6 ft x 1 ft panels and the required connectors. 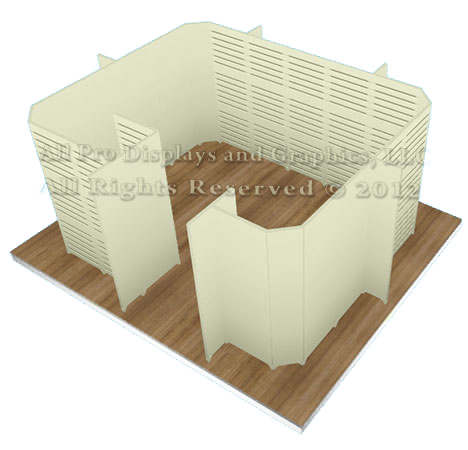 19 - 6 ft x 2 ft panels, 15 - 6 ft x 1 ft panels and the required connectors. 57 - 2 ft. x 2 ft. panels and 45 - 1 ft. x 2 ft. panels and the required connectors. 48 - 2 ft. x 2 ft. panels and 42 - 1 ft. x 2 ft. panels and the required connectors. 42 - 2 ft. x 2 ft. panels and 45 - 1 ft. x 2 ft. panels and the required connectors. 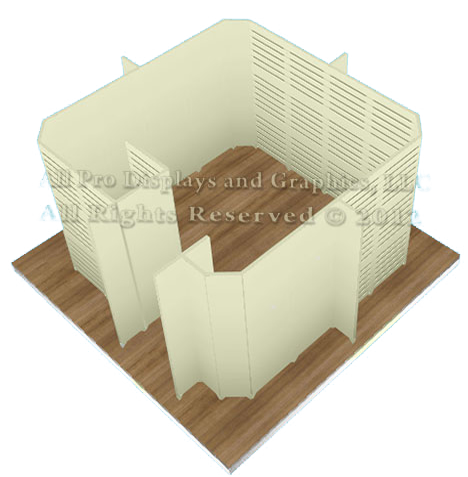 These conference rooms are custom built to fullfill your custom display needs. Please call for pricing. These conference rooms are custom built to fulfill your custom display needs. Please call for pricing. 7’ 10” x 7' 11"
Each slat wall panel is 24”x24” and made of strong PVC plastic. Individual slatwalls may face either inward or outward.